Where do I use my Insulation Superstore voucher code? Shop by project and find insulating materials for your walls, floors, shed, loft, van, flat roof and garage as well as insulation accessories, building accessories and fixing materials. Discover variations of insulation as well as breathable membranes, access and entry points and roofing materials for your ceilings and roofing as well as heating systems, underfloor heating and plumbing and heating accessories. If you’re passionate about saving the planet and aim to only use energy efficient materials then check out the solar panels and smart home technology products at Insulation Superstore. You can also discover passive house windows and information and advice on every energy efficient product to ensure you know exactly what you’re installing into your home. You can find a vast selection of rigid insulation boards at Insulation Superstore. From PIR to wood fibre and polystyrene, you can shop around and choose from top quality insulating products from industry-leading manufacturers like Celotex, Kingspan, Xtratherm and EcoTherm. As Insulation Superstore’s stock selection continues to grow you can also discover products from names like Recticel, Styrene, Jablite, JCW, Cellecta, Pavatex, Steico, Danosa, Quinn-therm and IKO, all of which sell durable and long lasting insulation boards for both your home and workplace. Offering you more choice on insulation boards, Insulation Superstore also aims to provide a product fit for every purpose whether that’s for general-purpose applications or very specific high specification applications. They even offer high-performance boards that are compatible with different kinds of underfloor heating. From protective clothing to insulation adhesive, fixings and tools, Insulation Superstore’s range of insulation accessories holds an impressive array of products, including everything you'll ever need to safely fix and install any insulation you may purchase. Shop for insulation accessories like plaster, render and silicone render or fixing materials like foil tape from huge names like DuPont Tyvek and Novia. If it’s building accessories you’re looking for you can also find cavity closers, tarpaulin, and surface and floor protectors from huge brands in the industry that you can trust. If you’re unsure of what accessories you need you can also check out the expert knowledge section for guidance on the buying process. How can I contact Insulation Superstore? If you’d like to return a product, you must either post them to this address: Burrington Way, Burrington Business Park, Plymouth, PL5 3LX, email sales@insulationsuperstore.co.uk or give the team a call on 01752 692 206 for a return label or arrange collection. Yes, but the transport charges incorporated in the site do not cover that area, please call Insulation Superstore for other rates. Insulation Superstore offers a vast range of quality insulation products from leading manufacturers that can be delivered to your home, building project or workplace. Shop for insulating boards, fire protection, loft roll insulation, natural insulation, plasterboard, multifoil insulation, acoustic insulation and other insulating materials and discover a wide range of each, all for affordable prices. 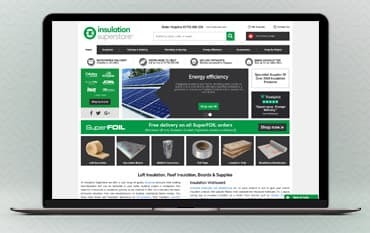 Shop online and make sure you use an Insulation Superstore discount code from us to enjoy incredible savings on your insulating essentials and accessories.